With its warm, moist climate, Logan is a great place to live. Unfortunately, that applies to pests as well—which is why pest inspections Logan residents can depend on are such a key part of Logan home ownership. Keeping your home and business pest-free depends on early detection and treatment—only possible with regular pest inspections. Concerned about Logan’s growing rodent population, Logan City Council has begun to promote better pest management methods. Though pest inspections in themselves won’t stop rodents from becoming a problem, they do identify the presence of the creatures in a home or place of business. Pest inspections also do one other service many homeowners and business people forget—they identify areas in which their buildings are vulnerable to rodent entry. Even the tiniest gap in a door or window seal is enough to allow a mouse to pass through. 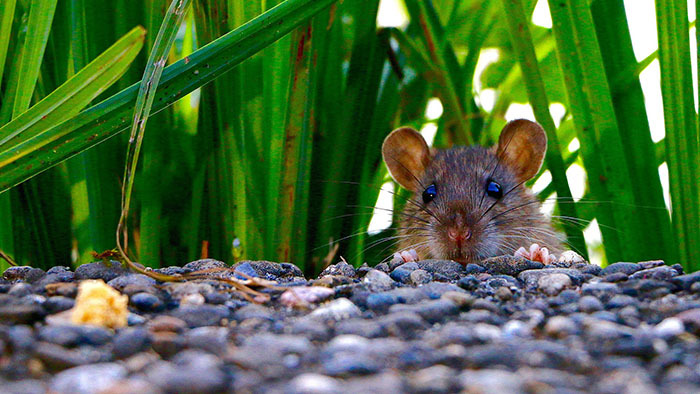 Larger gaps in a building’s foundation can even serve as a welcome sign to rats. Mice and rats, too, can sneak inside a business building while deliveries occur or when customers go in or out. Grates and pipes without proper covers, too, can let rodents inside. For food service businesses, a rodent infestation can be a death knell. With timely pest inspections, though, businesses can identify points of entry, as well as areas in which infestations have already occurred. After pest control professionals inspect a building, they will recommend a course of action. Pest control companies design treatments that will rid your home or business of rodents, yet keep customers, pets, and the environment safe from harm. Following the inspection—or treatment if necessary—quality pest control companies will recommend a prevention program to keep pests from coming back. These programs usually include removing food sources, blocking possible breeding sites, and properly sealing any open pipes, gaps, or foundation cracks. Stick to a schedule of at least yearly pest inspections to make sure your home or business remains rodent-free thereafter. Though termites can live almost anywhere on earth, they, like humans, prefer warm climates. That’s where they thrive—and breed unfettered. Outside in nature, that’s fine. They help break down old tree trunks, creating organic matter that fertilises the soil. Inside your Logan home or business, that’s another matter entirely. The same process that makes termites an important part of the environment can destroy your home’s timber structures in just a few years. You probably won’t even know they’re there. Signs of termite infestations are subtle—and often undetectable by the untrained eye. Unless their winged offspring (alates) begin to swarm into your home during spring breeding season, you won’t see them. They hide deep within the ground, emerging only to tunnel into your home’s timber supports to feed, and then return to their colony. That’s why pest inspections are important for Logan-area homes and businesses. Leading-edge pest control companies, like Suburban Pest, have high-tech equipment like heat sensors and motion detectors that can catch termites in the act as they munch on your home’s supporting structures. 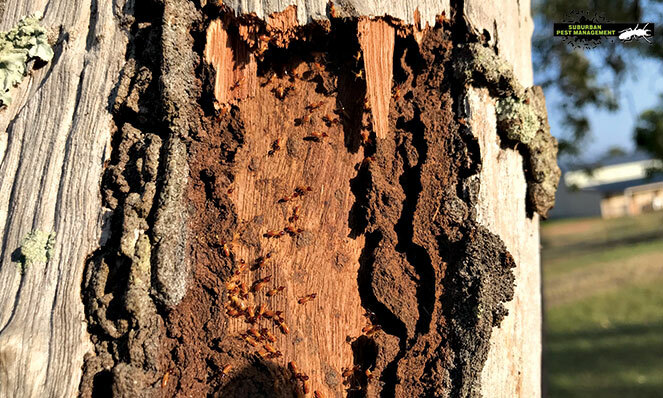 When you catch termites early, before they have the chance to send out their winged alates in search of a mate and a new colony location, you have less chance of expensive damage to your home’s timber structures. During your pest inspection, pest control technicians will comb through your home, looking behind every door and checking your interior walls with motion detectors. They will look outside for possible entry points, as well as evidence of termite presence, such as ‘mudding’ and other things you might have missed. If they find no termites—you’re fortunate. Keep your home that way by following the technician’s recommendations for termite prevention, and be sure to have your home inspected yearly thereafter. If they do find termites, the technicians will recommend a course of treatment. Modern-day termite treatments are nearly invisible, yet are thoroughly effective in ridding your home or business of its termite infestation. Today’s termite treatments, too, are safe for the environment, your pets, and your family—giving you peace of mind. After the treatment, the techs will recommend a prevention protocol, as well as an ongoing treatment plan to keep your home termite-free. Although they’re arguably the most harmful, rodents and termites aren’t the only pests that invade Logan homes and businesses. A full-service pest control company can inspect your home or business to make sure you don’t have any other unwanted guests, such as possums, ants, mosquitoes, or other types of pesky creatures. For building and pest inspections, Logan residents turn to pest control companies with years of experience detecting the presence of tough-to-eradicate pests in homes or other buildings they want to buy. 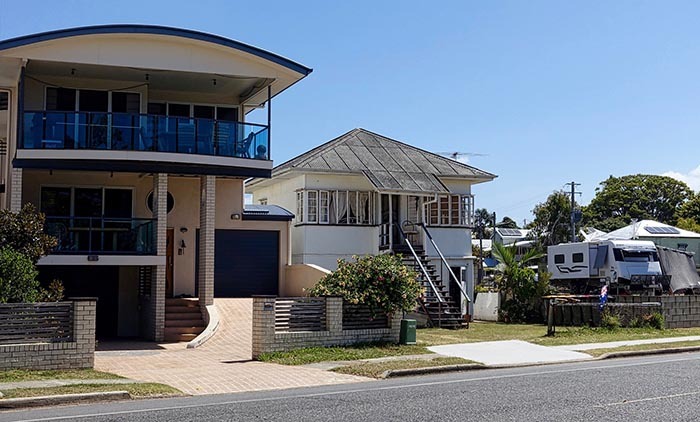 Building and pest inspections, Logan City homebuyers know, are essential to making a smart decision on real estate purchases. You don’t want to plunk down your hard-earned dollars on a home filled with pests. At least not without full eradication, that is. Make sure that the pest control company you choose to do your building and pest inspection is licensed and well-qualified, with certified technicians. Insurance is a must, too—especially when purchasing real estate is such a huge investment in time and money—so make sure the pest control company you choose is qualified and insured. At Suburban Pest, our pest inspections are second to none. We check the exterior and interior of your home thoroughly to find and identify any pests that may have invaded your home or business. If we find evidence of pests, we solve the problem—no matter how extensive the infestation may be—with the latest in pest eradication treatments. We choose treatments that are toxic to pests, yet keep your family, pets, and the environment safe. 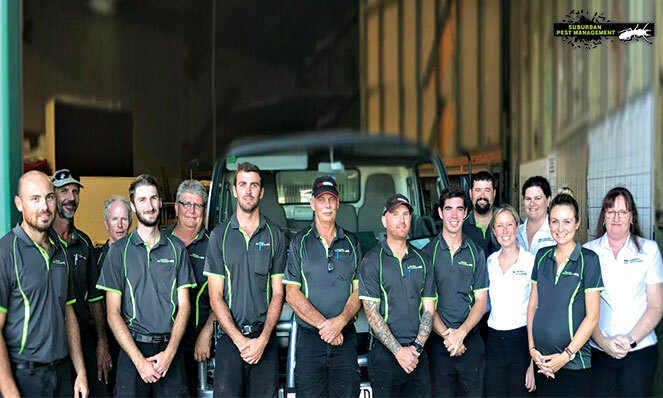 For pest inspections Logan can count on to identify pest infestations or potential problems, contact the friendly team of pest control experts at Suburban Pest. Get peace of mind. Get a quote for a pest inspection today. Keeping 1000's of Queensland homes pest free for over 24 years! No waiting around, lock in a time today with our live booking system. I'd like information about the $249 pest control special. 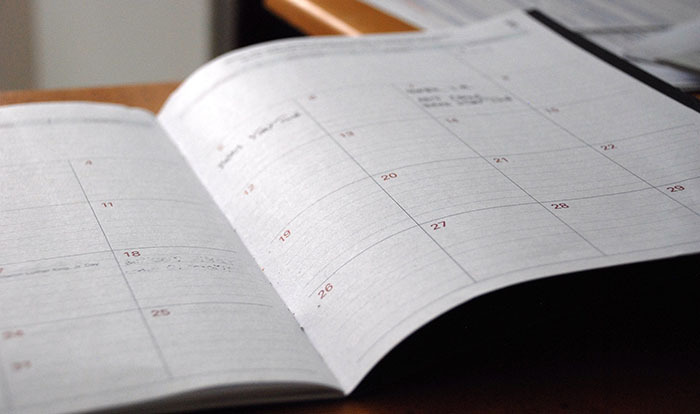 We'll call back within 4 business hours to explain your options and book-in a convenient time for an on-site service. Fast response in under 4 hours. Guarantee: if pests return within the service period, so do we! 100% certified pest management practitioners. We live in Brisbane and have used Suburban Pest for a number of years now and would highly recommend their services. Very friendly staff and great service always. Thanks guys. Get a fast & free quote. Fill out the form and we will get back to you with the quote that has the best price-to-quality ratio you can find on the market. "The job was done in no time at a fraction of the price we expected." "Punctual, friendly and a thorough service as always!"